An ancient gold rush, and loyalty faces off against greed. 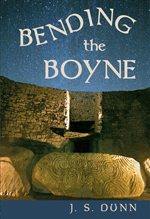 Circa 2200 BCE: Changes rocking the Continent reach Eire with the dawning Bronze Age. Marauders invade the island seeking copper and gold. 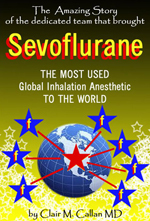 Sevoflurane is the amazing story of the dedicated team that brought Sevoflurane, the most used global inhalation anesthetic to the world, despite the odds. Know more about the entwined histories of Ireland, Mexico, and the United States as the people from these different places find their lives crossing paths – and destinies – in Mike Fallaw’s Just Like Me. Buy the Book! The third and climactic entry in Joseph Caldwell’s charmingly boisterous Pig Trilogy, one might well repeat the most famous words of the great non-Irish wordsmith and baseball catcher Yogi Berra, “It ain’t over till it’s over.” Buy the Book! Copyright © 2015 Joomla!. All Rights Reserved. Powered by Irish Book Club - Designed by JoomlArt.com. Bootstrap is a front-end framework of Twitter, Inc. Code licensed under Apache License v2.0. Font Awesome font licensed under SIL OFL 1.1.